← WaMu — WooHoo! er, D’oh! There’s so much ad clutter out there that it’s rare to see an ad that really hits the nail on the head. 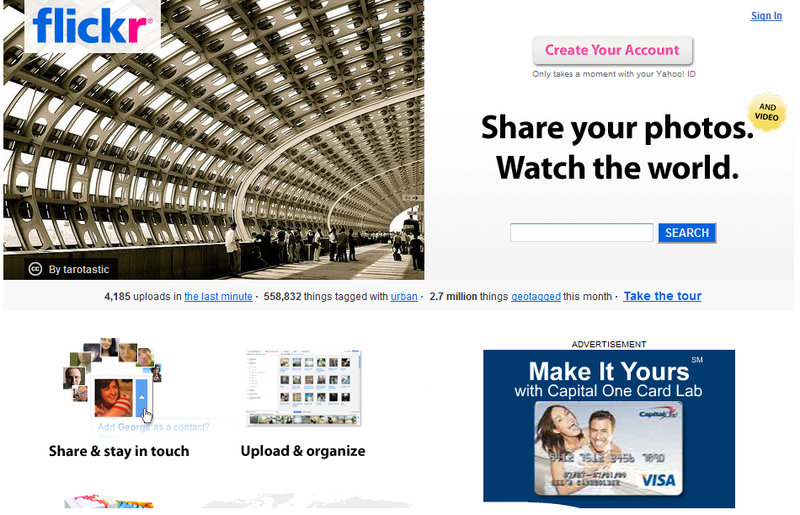 Here’s one that jumped out at me: an ad for CapitalOne’s Card Lab. CapitalOne lets you customize many features of your card, including the interest rate and promotions. It even lets you upload your own image for the front of the card. A perfect fit for flickr users. This entry was posted in adsthatwork, advertising. Bookmark the permalink.